A division of Global – The Total Office, this is a budget series that does not take any short cuts. This is currently stocked in numerous distribution centers nationwide in four laminate finishes. The series offers many components and configurations to meet your needs. Backed by one of the largest manufacturers in our industry, it is truly an innovative line. 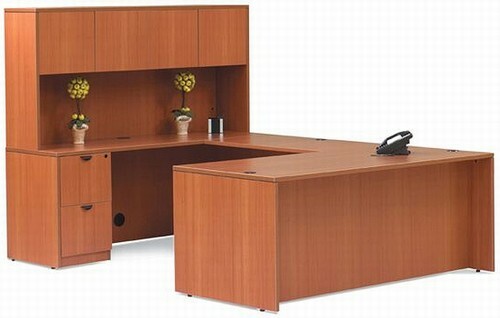 If you need to furnish your office quickly and are looking for value, Offices to Go will exceed your expectations. Sale Price: $599.00 Free Shipping! Sale Price: $499.00 Free Shipping! Sale Price: $1,149.00 Free Shipping! Sale Price: $999.00 Free Shipping! Sale Price: $749.00 Free Shipping! Sale Price: $769.00 Free Shipping! Sale Price: $659.00 Free Shipping! Sale Price: $339.00 Free Shipping! Sale Price: $209.00 Free Shipping! Sale Price: $169.00 Free Shipping! Sale Price: $219.00 Free Shipping! Sale Price: $179.00 Free Shipping! Sale Price: $159.00 Free Shipping! Sale Price: $449.00 Free Shipping! Sale Price: $399.00 Free Shipping!